Aspen prepared an EIR on behalf of the Kern County Planning and Community Development Department for the Morgan Hills Wind Energy Project. The wind energy generation facility generates up to 230 megawatts of electricity from wind turbine generators on an approximately 3,808-acre site on the eastern flank of the Tehachapi Mountains. Permanent project facilities would up to 76 wind turbine generators, a substation, electrical collection lines, access roads, operation and maintenance facility, and ancillary facilities. 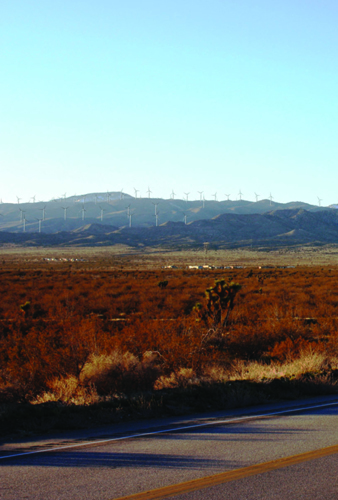 The project also included a 230-kV overhead transmission line, which would generally be aligned from the west to the east and would connect to the existing SCE Windhub Substation located six miles east of the site. Fiber-optic communication wires would also be laid down using the same underground trenching channels, and overhead, in conjunction with the feeder circuits that would connect each of the wind turbine generators with the proposed substation. The project required approval of multiple zone changes and a Conditional Use Permit. The EIR evaluated potential impacts of implementing a change in zone classification to incorporate the Wind Energy Combining District to the base district for approximately 2,160 acres of the project site. Aspen also assisted in the review of environmental technical reports prepared by the applicant, preparation of the Findings of Fact and Statement of Overriding Considerations, and preparation of the mitigation monitoring and reporting program.